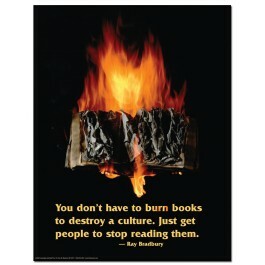 This poster features a quote from the great science fiction writer, Ray Bradbury. 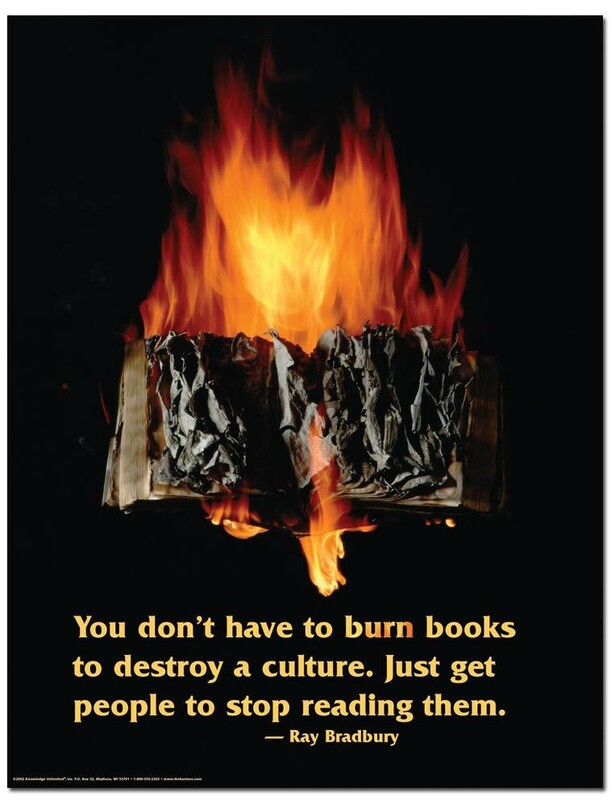 It reads: "You don't have to burn books to destroy a culture. Just get people to stop reading them."